The garden is beginning its transition. Tomato production is coming to an end; the Italian Heirloom and Juane Negib varieties purchased at the CCMG Annual Tomato Sale are spent, leaving only the Stupice cherry tomatoes to slowly ripen on the vines. 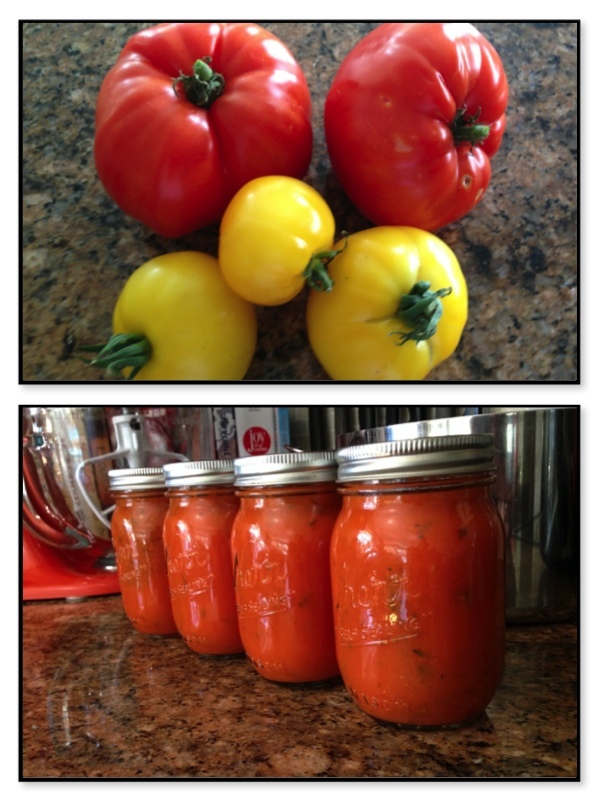 In spite of nocturnal assailants helping themselves to my tomatoes, there was an ample harvest for the summer table, and for canning. The eggplants, which up to this point, have been providing a small, but steady yield, are now heavy with fruit; too much to eat right now. They will be turned into Caponata or Ratatouille for wintertime noshing. My green beans are still managing to produce, but the plants are growing tired. Now, I’m only getting a handful of beans every few days. I finally cleared the zucchini plants from the bed this week. The powdery mildew popping up on the leaves was a telltale sign that the season was winding down. Had the mildew appeared earlier in the season, I would have treated the plants rather than pull them. 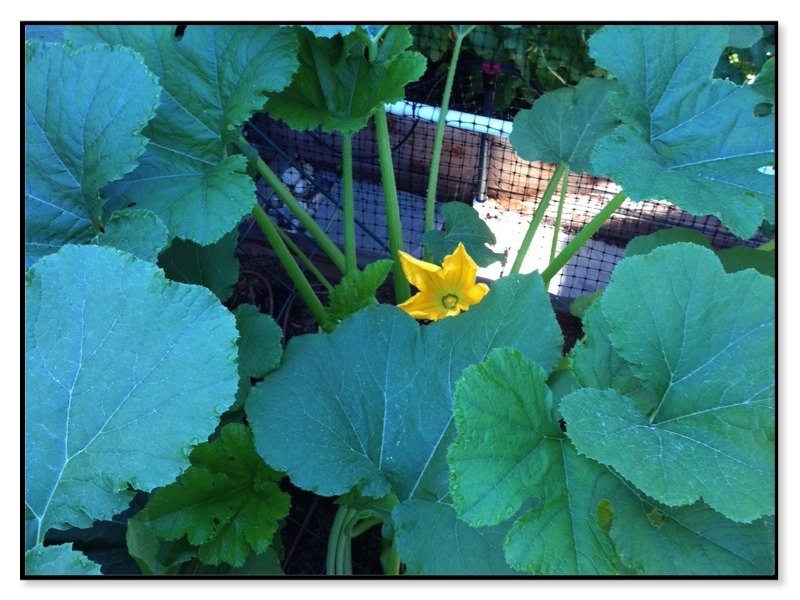 I probably could have coaxed a few more squashes from my plants, but I opted not to. The plants produced copious quantities of zucchini and, after making zucchini bread, zucchini muffins, chocolate-zucchini cupcakes, zucchini pasta, deep-fried zucchini, zucchini sticks, zucchini salads, zucchini [fill-in-the-blank], I gave zucchini to my neighbors and friends. Once I ran out of neighbors and friends who would take my zucchini, I blanched and froze the rest. I was ready to say good-bye to the zucchini plants. I planted an artichoke this year, and it gave us about 6-7 chokes. I’ve let it go to flower now, and am enjoying the magnificent showy blooms. The final harvest of the season was from the pear tree. 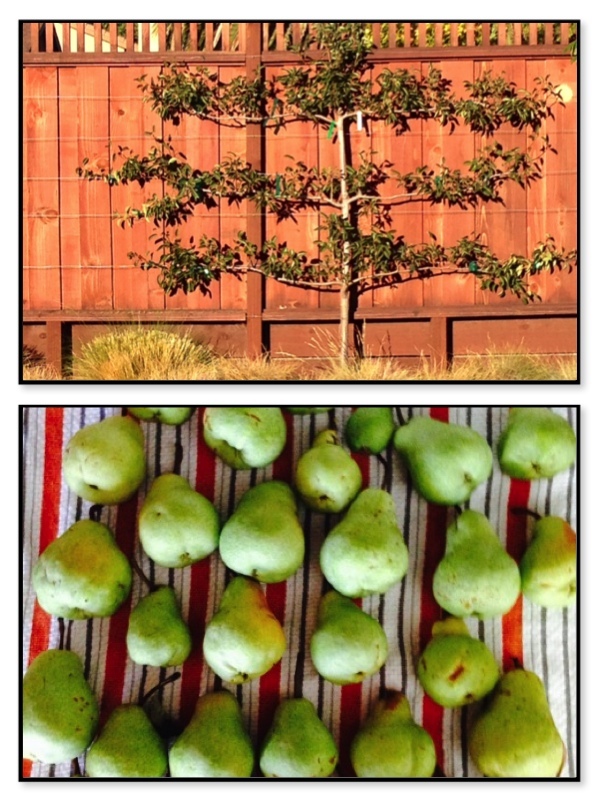 Last year, one lone pear hung from the tree espaliered along my side fence. This year, just over three-dozen pears graced the trained branches; not bad, considering the reduced amount of watering done as a result of the drought. The last of the pears have been picked, chilled, and are now sitting on my counter to ripen. There is an imperceptible shifting of seasons occurring in Central Contra Costa County. Although the days are still bright and hot, the sun rises a little bit later and sets a little bit earlier with each passing day. In fact, the garden is getting over one and a half hours less daylight than it did at the beginning of June. Like the shift of seasons, I too am shifting. My excitement over the emerging crops at the beginning of the season has been replaced with impatience as I wait for the few stragglers to finish. As September begins, with shorter days and slowly dropping temperatures, I am ready to say good-bye to my warm season crops and move on to planning my winter garden. How fortunate that nature is so accommodating to my attention span. Looks like your garden has done well. You got more chokes than we did, and we probably have more plants which are now in the process of being split and replanted. Do you have any idea if we can introduce mycelium into the soil by trenching lobster mushrooms into soil? We’re in the process of burying crab shell, coffee grounds, compost, and because we don’t eat lobster mushrooms, we are chopping them up too. I mean, is that smart or completely not? I think it’s exciting to build up your soil by introducing more mycelium. But, I don’t know if I would use the lobster mushrooms as they aren’t really mushrooms, but a fungus that colonizes on other mushrooms. You probably already have a good amount of mycelium in your soil, considering that you’ve been gardening organically, and following permaculture methods, for quite a while. If you’re thinking of introducing mycelium into the garden to help build up the soil, and as a companion to your other crops, then the book – Mycelium Running, by Paul Stamets – is worth reading. (You’re light-years ahead of me, so you probably already know about the book – LOL) There is a .pdf version available online that you can read (for free). 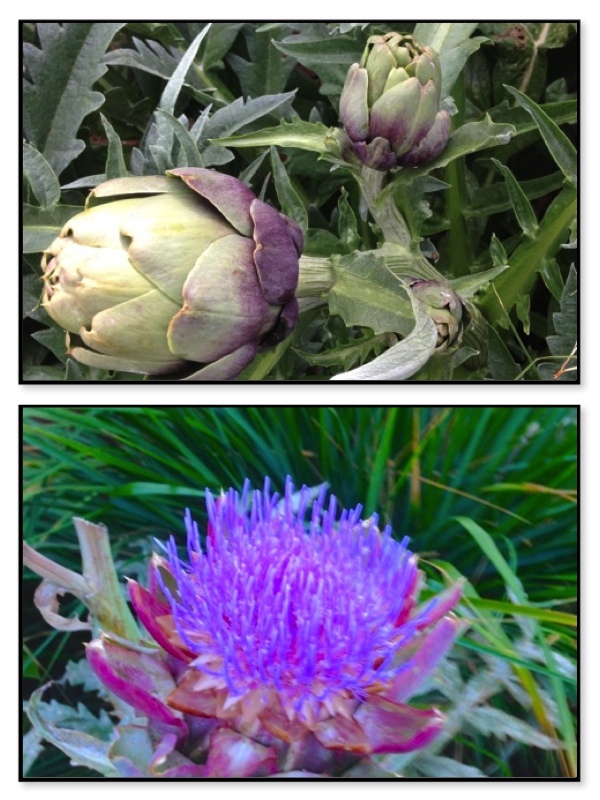 We’ve never let our artichokes flower…just wondering, do the bees like them?